Multiply Your Fun with This Unique 3 Player Chess Set! Multiply your fun with this unique three player chess set! Have you ever wished that you could play a nice game of chess with more than just one other person at a time? We’re not talking about fancy simultaneous displays, here – we’re talking about 3 player chess! If you’re having a hard time imagining how that would work, don’t worry, we’ll explain all about it below. But before we get to that, just think about how this innovation will change your entire chess experience! It’s a great idea for groups of friends or even young families. Imagine being able to play chess against your spouse and your child at the same time. It’s a great way to introduce your child to the game of chess at a young age. And if you have more than one kid, you can take on them both simultaneously! In the beginning, they may marvel at your ability to beat them both, but before long you may find that they start teaming up against you as their strategy develops. At first glance, the Wooden 3 Player Chess Set may look a little bit like an M.C. Escher painting, but once you’ve had a chance to really take it all in, it starts to make perfect sense. The set is made of high quality, high contrast wood in red, white, and black. 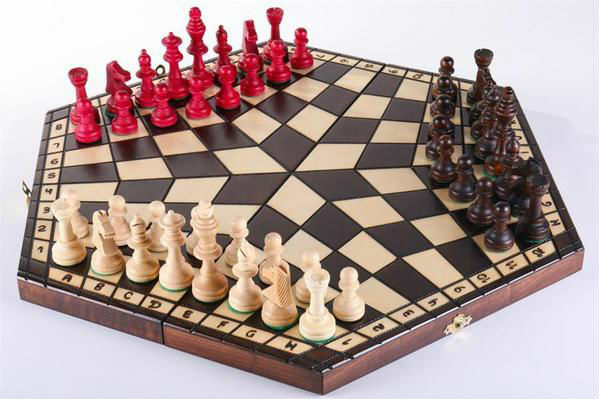 The 3 Way Chess Set is available in 3 different sizes to accommodate any space or budget constraints. 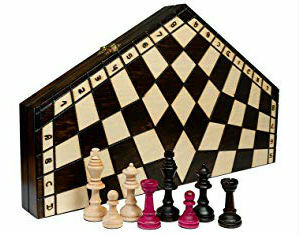 The small size features an 11-inch board with approximately 1-inch squares and a King height of 2 inches. The medium set is about 16 inches across with a 2 ¼ inch King. The large size is 18 ⅜ inches across and features a King piece that stands 3 ½ inches tall. We recommend the large size for maximum effect and spaciousness. Regardless of the size you choose, all of The Wooden 3 Player Chess Sets feature a folding design that allows for easy packing, storing, and transport. The hexagonal board folds in half and latches, providing three separate, padded storage compartments for each of the three sets of pieces. It’s an elegant design that will keep you and two friends entertained for hours. People are loving it already, as the many 5 star reviews will show. The hexagonal board Includes storage compartments for each of the three sets of pieces. 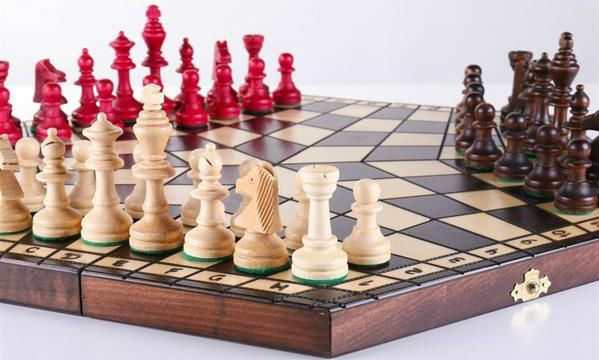 The most surprising thing about this three player chess set, we think, is the price. It’s incredibly affordable, especially for a set that looks so good and is as well made as this one. It even introduces a new way to play the beloved game of chess, so the creators could certainly charge a pretty penny for it if they chose to, but instead, they’ve made it affordable for almost anyone. We say get it at this incredible price while you still can! Obviously, for 3 player chess to work, a few modifications need to be made to the original set of rules. 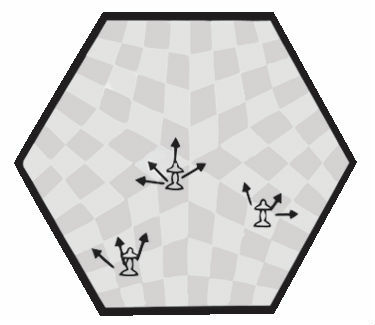 Luckily, every 3 way chess set includes a complete instructional booklet that makes the game easy to learn and cover a number of unique scenarios. That booklet will be your ultimate resource when you purchase this three player chess set, but we’ll just give you a brief overview of the game so you have an idea of what you’re getting yourselves into! 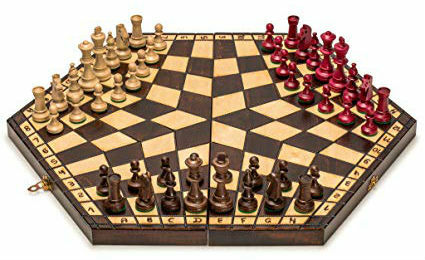 Basically, the game is played as similarly to regular chess as possible with three people. 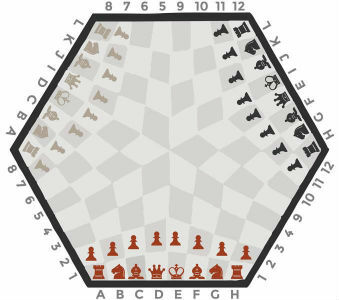 Each player takes turns making their moves, beginning with White and proceeding around the 3 player chess board. During set up, the White army is set up between the Red and the Black armies. Each army should be placed along an edge labeled with letters rather than numbers. 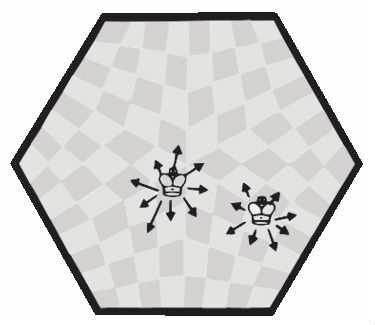 It can be confusing the first time you’re faced with a 3 way chess board, but the labels on the sides of the board are there to help guide you. There are some sticky situations that you may find yourself in that are unique problems of the 3 way chess set. For example, it can be more difficult to determine the outcome of certain checkmate scenarios with a third player present whose moves may change the situation on the board significantly. To deal with this problem, we recommend playing the game out past the point that you normally would in a two-player match. 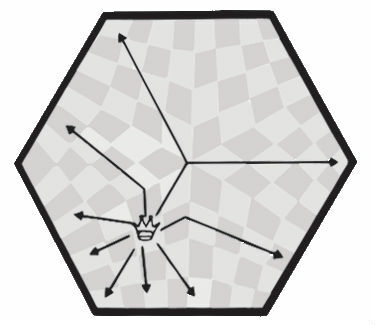 A small modification to play the game out until the point when a King piece is actually captured and removed from the board will make it clearer who the winner was. On a 3 way chess board, knowing how and where to move your pieces can be a little bit tricky at first. It may be helpful that all the principles of movement, like the ways in which each piece is able to move, are exactly the same in 3 player chess as they are in traditional chess. Nothing changes there. However, in a game with 3 players, the need arises for pieces to be able to move effectively not only forward but also to the left and right sides of the board. 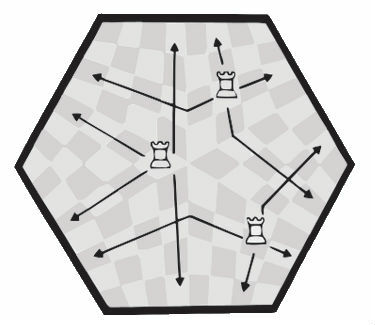 This movement is accomplished not through any additional movement rules given to the pieces, but actually in the shape of the spaces on the board. 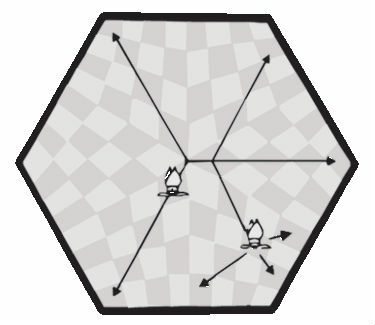 In the center of the 3 way chess board, there is a cluster of 6 “squares” which are more like diamonds in shape. 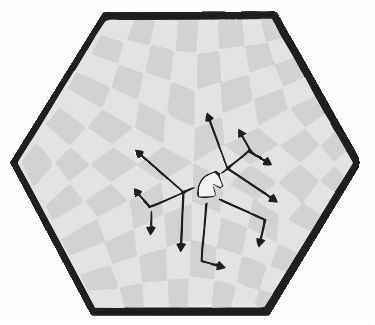 These size spaces form a rosette that allows pieces to change direction easily and head toward their desired section of the board using only their normal movements. The way that most of the board’s rows of spaces are slightly curved or bent also facilitates this movement. It may be hard to imagine, but once you start actually playing on the board, you’ll see that it all works out! In playing on your 3 way chess set, you’ll discover a whole new world of chess that will challenge your preconceived notions and winning strategies that worked for you in 2 player chess. The 3 player chess board would be a great present for someone who has mastered the traditional chess set and is ready for a new and exciting challenge.